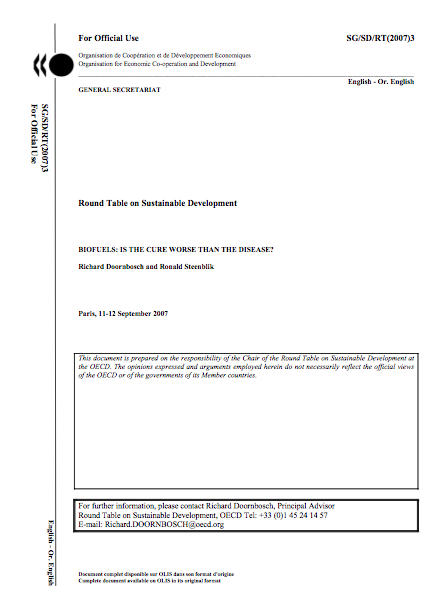 The capability of methanol to replace petroleum fuels has been known for a long time. Now as the future availability of crude oil is increasingly called into question, methanol is receiving renewed interest since it can be readily made from remote natural gas and from the world's extensive coal and biomass resources. 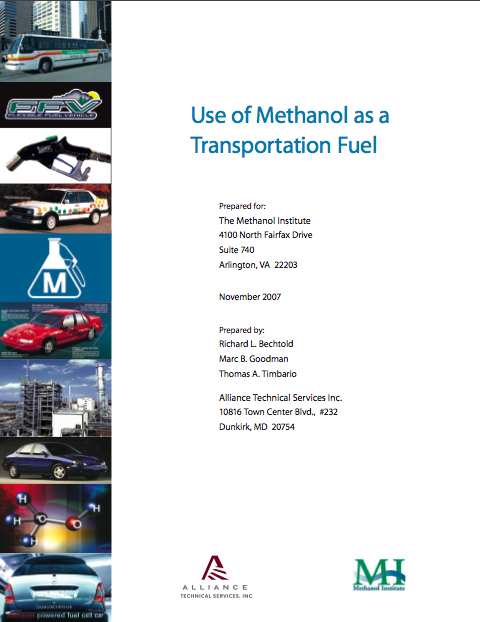 Much work was done previously around the world to identify the proper ways to design and modify vehicles to use methanol either as a neat fuel or in blends with gasoline. Extensive fleet tests were also conducted, with the majority occurring in the U.S. where methanol vehicles were sold commercially in the early 1990s. This report presents several significant findings from that work and experience. Despite the significance of the PTC for renewable energy, and the fact that Congress is currently considering a longer-term extension of the incentive, relatively little effort has been made to evaluate the impacts and effectiveness of the PTC, or to assess the benefits of a longer-term extension of the policy. 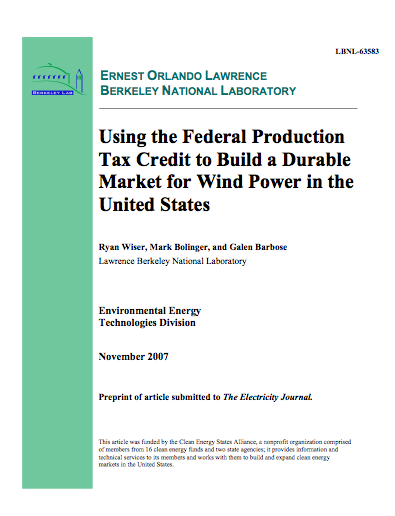 The purpose of this article is to make some modest strides in this direction by reviewing developments with the PTC over time, assessing its impact on the wind power market, highlighting the potentially positive implications of a longer-term extension of the PTC, and discussing some possible changes to the design of the PTC that might help overcome some of the limitations of the incentive as it is presently structured. 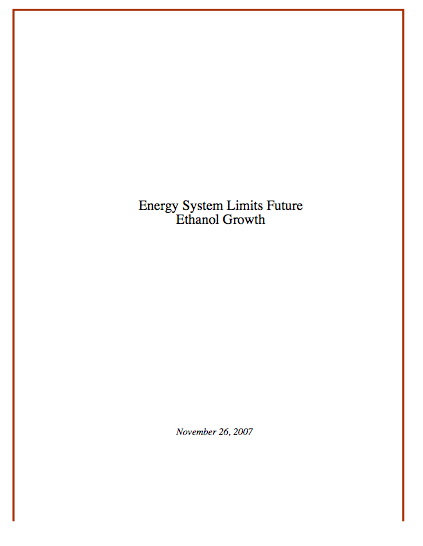 The rapid increase in ethanol consumption during 2002-06 will prove to have been a one-time event that captured two thirds of the ultimate near-term market. Growth beyond the remaining third of ethanol’s potential will depend on ethanol’s ability to replace gasoline as a primary fuel. 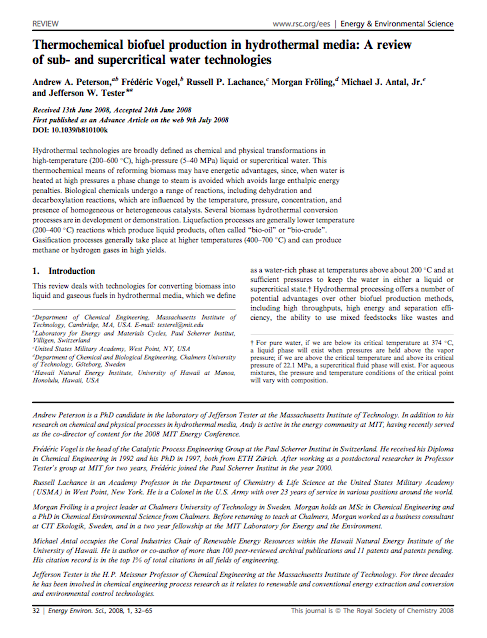 Gasoline replacement by ethanol is constrained by two factors: The gasoline-ethanol distribution infrastructure does not deliver ethanol for gasoline blending everywhere in the country, and there are physical limitations on existing vehicles—all 240 million of them—as to how much ethanol they can use in combination with gasoline. 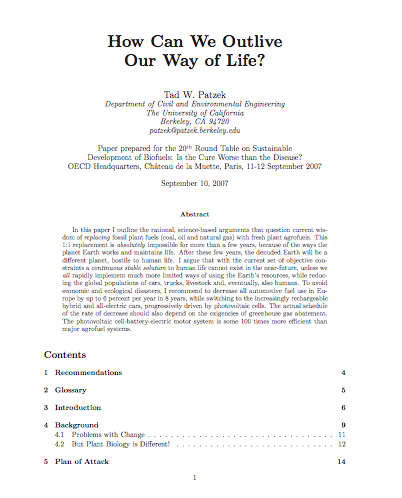 Author(s): A. Peterson, F. Vogel, R. Lachance, et al. When Elizabeth Kolbert was interviewing energy analyst Amory Lovins for a profile piece in the New Yorker, she asked him about thinking outside the box. Lovins responded, “There is no box.” There is no box. That is the spirit embodied in Plan B. 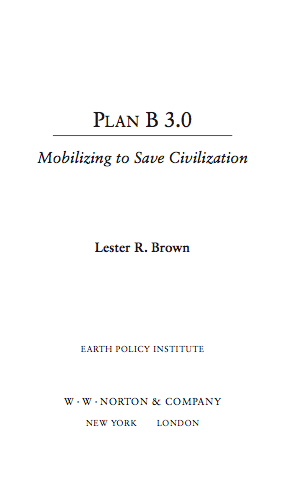 Perhaps the most revealing difference between Plan B 2.0 and Plan B 3.0 is the change of the subtitle from “Rescuing a Planet Under Stress and a Civilization in Trouble” to simply “Mobilizing to Save Civilization.” The new subtitle better reflects both the scale of the challenge we face and the wartime speed of the response it calls for. Our world is changing fast. When Plan B 2.0 went to press two years ago, the data on ice melting were worrying. Now they are scary. With today’s persistently high oil prices, Americans are spending more money than ever on gasoline. The production and use of gas and diesel in cars, trucks, and buses also account for 27 percent of U.S. global warming pollution. 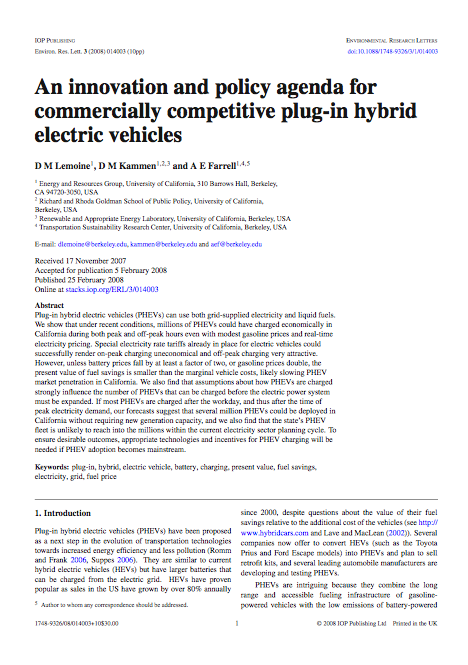 Promising new transportation technology called plug-in hybrid electric vehicles (PHEVs) could help Americans spend less money at the pump, and at the same time reduce global warming pollution and decrease our reliance on oil. 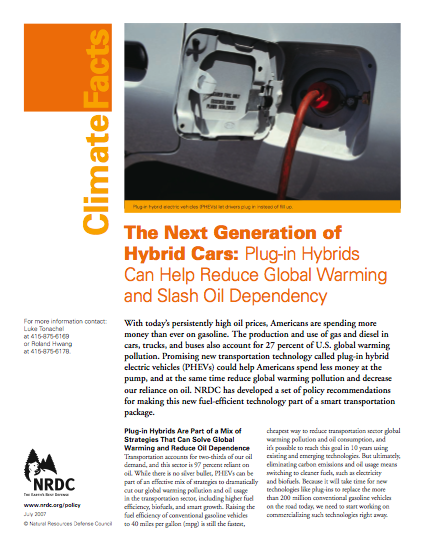 NRDC has developed a set of policy recommendations for making this new fuel-efficient technology part of a smart transportation package. 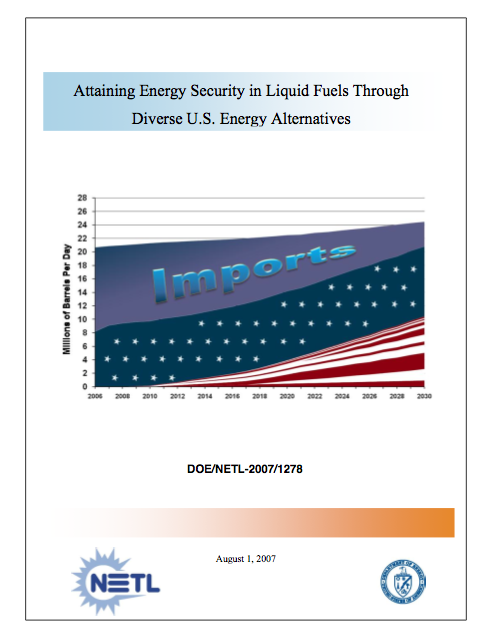 Disclaimer: OurEnergyPolicy.org makes no claim as to the accuracy or quality of Resources produced by third parties.